You either have no clue what Black Mirror is or you’re a rabid fan of it. Black Mirror came out in the U.K. in 2011 and was recently released in the U.S. on Netflix. It’s an anthology series, like The Twilight Zone, with every episode focusing on a unique story and cast. There’re only 7 episodes so you can binge watch it in a day (here’s a guide to do that). These episodes don’t scream “TECHNOLOGY IS BAD!! !” They’re not too far removed from contemporary life, and they’re not too familiar, either. Instead, they quietly, diligently burrow into the heart of what’s so terrifying about tech to begin with: our tendency to make stuff that caters to our worst selves. And that, friends, is what dystopian sci-fi is all about. This is why I’m so obsessed with Black Mirror — it reveals dark truths about human nature and warns us about what might happen if we aren’t careful. I’m going to expand on that and explore the psychology of Black Mirror. I won’t spoil the episodes — they work best if you go in without knowing what to expect. If you’ve seen the show, you’ll know what I’m talking about. If you haven’t, hopefully this will convince you to give it a try. Just skip episode #1, "The National Anthem", because no one likes it. The rest are awesome though, I promise. "The Waldo Moment" shows us how easy it is to insult someone when you’re sitting behind a screen. We see the same type of stuff happen with Facebook bullying, Twitter GamerGate death threats, blog post comment flame wars, and Xbox Live hate speech. What is it about the internet that makes it easy for humans to become inhumane? No eye contact! You see that the other person is hurt. Mirror neurons (empathy brain cells) detect their pain and make you feel bad. You stop the thing that hurt the other person and (if you’re nice) apologize for your actions. None of this happens on social media. You don’t see the emotional impact of your actions. Without eye contact, your mirror neurons have nothing to do. No empathy. (Anger + Anonymity) - Eye Contact = Internet Trolls. Psychologists have a name for this phenomenon — the nasty effect (a.k.a. the best psychological term EVER). What’s the solution? I don’t have a good one — it’s very difficult to maintain the privacy of the internet while also promoting empathy. Creating self-governing communities where diversity of thought is rewarded and trolling is penalized is the best option we’ve got (for now). “Fifteen Million Merits” takes on a lot of topics including reality TV, online avatars, freemuim games, and a little bit of Kickstarter. Dr. Jamie Madigan has covered most these including the psychology of video game avatars, Candy Crush, and Kickstarters. What I want to highlight is the “foot-in-the-door technique”. It’s an old sales tactic that’s grounded in science. Get people to agree to a small request and they’re more likely to agree to a big request. Maybe a friend doesn’t have HBO and asks if they can come over to watch Game of Thrones with you. You have fun and it feels good to share the awesomeness of Westeros with them. A few days later, they ask you for your HBO Go password. This is where the foot-in-the-door technique kicks in. You’re more likely to say yes to them because you want to stay true to what you've done in the past. I explore much more about this phenomenon (cognitive dissonance) in in my article on why people deny science and this episode of The Psych Show. The foot-in-the-door technique is very profitable. President Obama’s 2012 campaign made a lot of money by getting you to open their emails, donate a small amount, and then ask for more money later on. Kickstarters projects succeed because once you’ve donated money you’re more committed to getting others to donate too. After you've invested a lot of time into a free game, spending some money to level up isn’t that big of a deal. What if you had the ability to replay any experience you’ve ever had in your life? That’s the premise behind "The Entire History of You", my favorite Black Mirror episode. Memories aren’t a perfect recording of what’s happened in the past. Each time we think of something, new information gets combined with old memories. Think of memories like a live concert - the same song always sounds different depending on the venue, how the band is performing that day, and how we feel at the concert. There are infinite ways in which we experience the same memory. How does this fit in with “The Entire History of You”? Even if you had a perfect recording of what happened in the past, you’d never have a perfect memory. Each time you’d play it back, your experience of that memory would change based upon how you’re feeling, who’s with you, and what’s happened since the recording was made. The more you’d revisit the memory, the more it would change. Certain details would stick out, others would be forgotten, and false memories could easily be created if people lie about what’s happening in the recording. Relying on recordings also gets in the way of forming memories. That’s why Instagramming every moment of your vacation is a bad idea – you’re not going to be fully aware of what’s happening around you. Practicing mindfulness and taking photos of certain details you really want to remember is a much better approach. One more thing – obsessing over every detail of everything you’ve recorded, that could lead you to experience a symptom of depression called rumination. 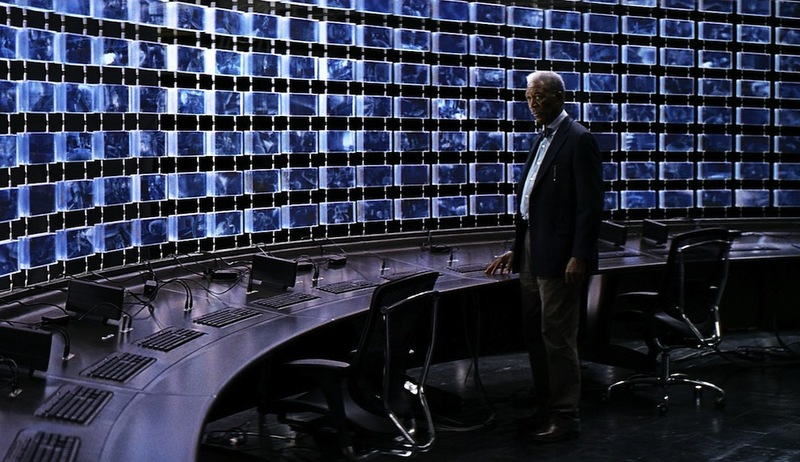 Can you recreate someone based upon their online identity just like “Be Right Back” (and while we’re at Caprica)? Yes, for the most part. Researching how people use the internet is difficult. Science is slow – research takes a lot of time to develop, get funded, cleared by ethics boards, and analyzed. Meanwhile, technology develops quickly. One day everyone’s talking about Meerkat the next people have moved on to Periscope. But based on what we know now, the way you use the internet is a good reflection of who you are. The strongest relationship seems to be personality and social media. The updates you post and the things you like are a good reflection of your basic personality – how much you want to be with people, how trusting you are, the stability of your emotions, your ability to organize, and your curiosity. Social media can also predict your gender, religion, sexual orientation, and how much you use drugs based on things like whether or not you like curly fries and thunderstorms. While all this stuff is important, there’s much more to you than your personality and demographics. What you've done in the past isn’t always a good predictor of what you’ll do in the future. Your actions are a complicated mess of what you've learned, how you’re feeling, what’s happening around you, and your immediate thoughts. Your internet profile doesn’t have access to all that data, at least not yet. What happens when people take photographs and videos of you on their smartphones (like "White Bear")? Something called objective self-awareness. This happens whenever you see your reflection in a mirror, realize you’re being watched in a bank, or see a photo of yourself on social media. You compare how you think of yourself to how you actually are. Most of the time this leads you to change something. Maybe you fix your hair, act more professional, or get stuck thinking about a specific part of your body. Technology is increasing objective self-awareness and with wearables, drones, and live-broadcasting gaining popularity, things are going to get worse. For more on this topic, check out my video on how technology is turning everyone into a celebrity and the paparazzi. The most recent episode of Black Mirror, “White Christmas” touches on the ethics of artificial intelligence. It’s a popular topic right now as Her, Chappie, Ex Machina, and the upcoming Avengers: Age of Ultron tackle similar issues. The big question is this: how will we know if an artificial intelligence is alive? Futurist Martine Rothblatt, a pioneer in the field of cyber consciousness, believes objective self-awareness is the test we’ll use to figure this out (check out her SXSW keynote for more on that). Does the AI understand what it is? Does it value its life? If so, how does it want to live? Like all basic human rights, Rothblatt believes artificial life should have the choice to be in the type of state it wants to be. The problem is as cyber consciousness gets close to human consciousness, it’s going to be very hard to know if the AI is mimicking humans or if it is really alive. This moment of technological singularity could become the greatest test humanity has ever faced – how will be treat a species that is just as intelligent as us? I’m hoping for more of a Star Trek: The Next Generation outcome and less of a Terminator future. There’s a lot more I could say about Black Mirror, the psychology of technology, and where we’re headed as a species. But I’ve had my say – what do you think? Are we doomed to live in a dystopian science fiction future or will all this technology usher in an era of peace and prosperity? Let’s discuss in the comments below. 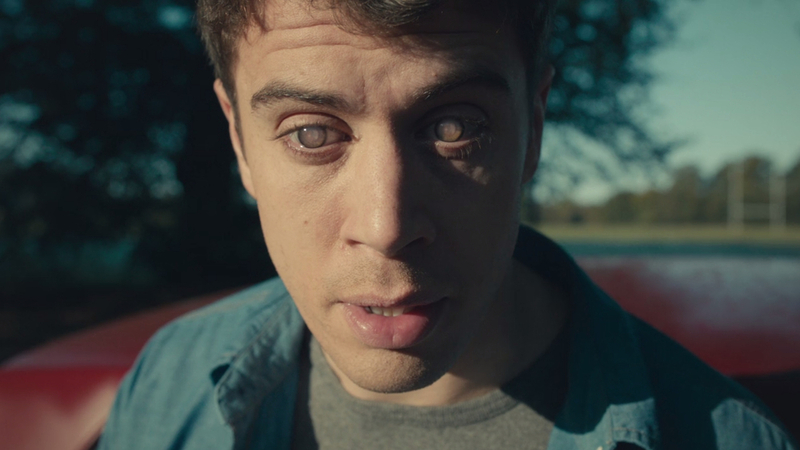 For more on Black Mirror, check out my review on Super Fantastic Nerd Hour. To detox from all this scifi, watch the hilarious Black Mirror: In Real Life. I've been anticipating COSMOS: A Spacetime Odyssey ever since it was teased at last year's San Diego Comic Con. Carl Sagan's original Cosmos: A Personal Voyage was a big part of my childhood and, along with Star Trek, it made me believe that science would create a better future for humanity. Knowing that COSMOS was returning in one of the biggest television rollouts of all time with the coolest modern scientific communicator (Neil deGrasse Tyson) made me a very happy nerd. Neil deGrasse Tyson's got the right stuff to take on COSMOS. The first episode explains Earth's position in the universe and introduces the cosmic calendar to a whole new generation of people. Both had the effect of making me feel impossibly small & completely inspired. What was unexpected was the story of Giordano Bruno, a man who argued that the Earth orbits the Sun in an era when most believed the Earth was the center of the universe. Bruno died for his beliefs and in telling this story COSMOS makes a clear case for the scientific method of questioning everything. The episode tells a great story, but it forgets to explain the science of why people deny science. A history of the universe, condensed into an easy to understand story. What made COSMOS so effective is Tyson's mastery of storytelling. He's been doing this for years at the Hayden Planetarium, on Capitol Hill, and across television networks (probably because he was inspired to follow Sagan’s example). Tyson easily translates complex ideas into straightforward language that gets people excited about understanding space. Most scientists can't do this and have a hard time sharing their ideas with people who aren’t in their field. Check out Tyson at his best in the "We Stopped Dreaming" speech. Stories aren't just entertaining. They’re an essential part of our psychology. The brain creates a story of who we are based upon the experiences we’ve had. These stories are simplified versions of reality (cognitive biases filter much of what happens to us). We're also biased to remember supernatural things like singing frogs (remembering things that are unusual helps us stay alive). But regardless of accuracy, stories are important because they have a huge impact on how we think, act, and feel. The Earth is a tiny part of a vast universe. Humanity didn't always believe this and people like Giordano Bruno were killed for asking too many questions. Humanity has existed for a very small amount of time compared to the rest of the universe. Each of these stories is backed by science, with the exception of Bruno's story. COSMOS fails to explain why people rejected Bruno’s ideas and why many continue to deny modern day scientific truths (like climate change). Cognitive dissonance explains why Giordano Bruno was attacked for his views of the universe. The best explanation for why people deny science comes from Leon Festinger's study of "The Seekers". Festinger infiltrated a cult led by Marian Keech who claimed to be receiving messages from aliens telling her the world would end on December 21st, 1954. Keech also claimed that she, along with her followers, would be saved at midnight prior to the end of the world. Her devotees left their jobs and stayed with Keech for the week leading up to the 21st. Midnight came and went – nothing happened. Instead of coming up with a rational explanation for why they weren’t beamed up by aliens, the seekers believed that God was so impressed with their prayers that he saved the world. …our positive or negative feelings about people, things, and ideas arise much more rapidly than our conscious thoughts...That shouldn't be surprising: Evolution required us to react very quickly to stimuli in our environment…We push threatening information away; we pull friendly information close. We apply fight-or-flight reflexes not only to predators, but to data itself. The brain attacks information that might challenge our beliefs the same way antibodies fight viruses. We unconsciously morph new information to fit in with existing stories (Sure, smoking isn’t healthy, but I don’t smoke that often and when I do they’re lights). Research has also shown that the harder you try to change someone’s perspective on an emotional topic, the stronger their existing point of view becomes. That's why debates on abortion don’t go anywhere and just make people mad. How do we get around the problem of cognitive dissonance? New information has to be communicated in a way that fits in with someone’s existing stories. That's one of the reasons why many Jews, Christians, and Muslims believe in the big bang – it’s consistent with many religious stories about genesis and creation. It’s also why some people of faith have a hard time with evolution – the cosmic calendar doesn’t align with many religious texts. COSMOS doesn't look like any documentary we've seen before. COSMOS, a big budget primetime miniseries that looks more like a science fiction blockbuster than a science documentary, is perfectly positioned to get around the barriers of cognitive dissonance because it tells a cool story. I’m bummed it didn’t explain why people rejected Bruno’s convictions, but I believe it will inspire a new generation to love science. To learn more about the science of science communication, check out Kyle Hill’s article at Discover Magazine. The internet was the forum for global fan outrage this week when Warner Brothers announced Ben Affleck will star as the Dark Knight opposite Henry Cavill's Man of Steel in 2015's Batman Versus Superman movie. Fans have been complaining about two things. Really looking forward to seeing Affleck bring the depth and gravitas to Batman that he brought to Daredevil and Gigli. Affleck gonna be like "It's the Jokah! Or the Riddlah! Rahbin! Call Commissionah Gahden!" Affleck'll crush it. He's got the chops, he's got the chin -- just needs the material. Affleck & Cavill toe to toe -- I'm in. I was also surprised by this announcement and texted my Batman friends to vent. They eventually calmed me down and when I really thought about it, this whole debate didn't make much sense. We have nothing to judge Affleck's portrayal as Batman (they haven't even started filming yet). We also can't go by his past performances because they've been inconsistent (Gigli was stupid but Argo rocked). I love how the internet works. 1. Outrage. 2. Outrage over others' outrage. 3. Everyone forgets and buys the comic/watches the movie anyway. Patterns of fan outrage like this happen all the time – people get invested in something, feel betrayed by changes, and eventually come to terms with it. It's all because of the anonymity of the internet and a psychological safety mechanism called cognitive dissonance. We've seen this type of outrage before – critics didn't like Michael Keaton's casting as Batman. "A comedian can't play the cape crusader!". Yet he did a pretty good job and (along with Christopher Reeve's Superman) paved the way for our modern age of superhero movies. Fans were also pissed when they heard Heath Ledger, star of the teen flick 10 Things I Hate About You, was cast as the Joker. They loved Jack Nicholson's portrayal of the same character and doubted Ledger had the talent to bring to life Batman's archenemy. He went on to win a posthumous Oscar for that role. Fan outrage isn't unique to Batman. Many longtime Trekkies hated Star Trek Into Darkness, despite its critical acclaim and blockbuster success. People were hostile when the new Battlestar Galactica reimagined the cigar smoking Starbuck into a female character. We see this when video game sequels make big departures from their predecessors (which has led to a wave of discrimination against game developers). Similar stuff happens in sports. Patriots fans mocked Tim Tebow when he was signed on to the team. Even Facebook users ballyhoo each and every interface change the social networking website makes. Regardless of the product, fans spend a lot of time, energy, and money investing in the way things are. For a lot of people, anger is a natural reaction when we think something we love is changing for the worse. While there are a lot of reasons why people get mad, it all comes down to feeling wronged – something has happened that was not okay (like having your foot stepped on in the subway, someone cutting in front of you in a line, or having your wallet stolen). Anger warps our thoughts, jumpstarts our body, and makes us want to break something. Whether or not we act on our aggressive urges depends on the circumstances of our anger. Me and my favorite Bruce Wayne - Kevin Conroy from Batman: The Animated Series & Arkham City. Batman fans have invested a lot in the superhero. Take me for example. I fell in love with the character after seeing Batman: The Animated Series. Batman gave me hope that I too could grow from difficult experiences and develop the skills I needed to overcome my own super-villains. I own all of the movies on Blu-ray, have met my favorite Batman (Kevin Conroy), and nearly wet my pants when I saw the epic San Diego Comic-Con reveal of the Batman VS. Superman movie. I've been waiting my whole life to see Batman and Superman appear together on the big screen. The Affleck casting made me question if Warner Brothers was taking the movie as seriously as I was (yes, fans feel like they have a personal ownership over this kind of stuff). When you take that type of anger and combine it with the internet, very bad things can happen. The internet loosens our inhibitions (kinda like alcohol) because we feel anonymous. A recent experimental study supported this idea and found that lack of eye contact with other people is one of the most important predictors of crazy online troll behavior. In other words, the things that keep us civil towards each other (like looking at someone face-to-face) are often stripped away on the internet. Anger doesn't last forever — it comes and goes (just like all emotions). But we feel impulsive when we're angry and the internet gives us a way to quickly act on our impulses. Without face-to-face contact, we feel like we can say heinous things and get away with it. Psychological science has demonstrated time and again that humans aren't rational beings. We feel first, think and act later. That's why we do things that don't make logical sense like smoking when we know it's bad for our health, procrastinating on our work even though it'll make things harder later on, and avoiding difficult conversations which end up prolonging our stress. Sometimes our emotions lead us to do things that conflict with our beliefs. We might think we're generous people but then we avoid beggars on the street. That's where cognitive dissonance comes in. Our mind strives for consistency between our beliefs and actions. When there's an inconsistency ("I'm a good person but I didn't give money to that poor person"), our mind either changes our behavior ("I'll volunteer at a soup chicken") or modifies our beliefs ("If I gave that beggar money, they'd just spend it on beer or drugs"). These types of mental gymnastics happens all the time without any conscious awareness. Belief 1: I love Batman. Belief 2: I hate Ben Affleck. Dissonance: Ben Affleck is the new Batman! We want to be consistent and these two beliefs just don't mesh with each other. To reduce our conflict, we might change the first belief and say "Affleck will never be my Batman" or "This isn't a serious Batman movie with Zack Snyder at the helm." Others will change their second belief – "Ben Affleck isn't that bad" or "Far worse actors have played Batman". Again, this is a stealthy process that happens without us even realizing it. I wish the conversation about our new Batman was more civil, but with the way most of the internet works (no face time), that’s not going to happen. Knowing what we do about cognitive dissonance, Cap. Steve Rogers is right — people will get used to this news and see the movie anyway. At the end of the day, it's good that people are reacting so strongly. Emotional reactions mean people care about Batman and are invested in the franchise. The moment fans stop caring is when a franchise dies (Exhibit C: George Clooney's Batman & Robin). Will Batman VS. Superman go down the path of Batman & Robin or Batman Begins? It’s just too early to tell. November 21st 2013 Update: Listen to Geek Therapist Josué Cardona and I discuss Ben Affleck and Nerd Rage on the Geek Therapy Podcast. December 22nd 2014 Update: Watch the Nerd Nite version of this article.